Looking for deals in Salzburg? Located at the banks of the Salzach River, in the center of Salzburg, the Hotel Stein has a history dating back to medieval times and was fully renovated and reopened in spring of 2018. Everything about this property is perfect: location, room, shower, bed, pillows, breakfast (for 16 eur). The staff was amazing. Nicest staff yet, very helpful. I wouldn’t think twice about booking this propery! Family-run for 3 generations, the small and elegant boutique Hotel & Villa Auersperg is located only a 15-minute walk from the historic center of Salzburg and features a charming garden terrace and a... Exelent breakfest. Staff with good maners, professional attitude. Umbrellas free to use. Good wi-fi. A 15-minute bus ride from the Old Town, the Bloberger Hof enjoys a quiet and scenic location on the southern outskirts of Salzburg. It offers free Wi-Fi and free parking. Our stay in bloberger hof was perfect! We stayed there for 3 nights. The hotel staff are very kind &helpful. Hotel is beautiful, view is heaven! We loved the old style decorations , it's so romantic,breakfast is perfect.scrambled eggs are a must try there,also their dinner is splendid. bus stop is close to the hotel & getting to city centre is easy by bus#21. Salzburg is beautiful & this hotel made our experience unforgettable! Located in a 14th-century building in the heart of Salzburg’s Old Town, this 4-star design boutique hotel is right at the foot of Hohensalzburg Fortress. Free WiFi is available. The staff at the front desk were phenomenal. They were so helpful and resourceful and made our stay so delightful and easy! Newly opened in January 2017, Cool Mama is a 4-star superior hotel and offers individual accommodations in Salzburg, 492 feet from Salzburgarena and 656 feet from MesseZentrum Exhibition Center... We celebrated my husbands birthday here. Awesome view from the top floor executive double room. Only a 5-minute walk from Salzburg's main train station, Parkhotel Brunauer offers a sauna, a fitness room and a 11 ft² garden. Free WiFi is available throughout the property, including the garden. Location was really good and just few walks from the train station. Our room was very spacious. K6 Rooms by Der Salzburger Hof is only a 2-minute walk from Salzburg Main Train Station and a 10-minute walk from Mirabell Palace and the Old Town. New and friendly, extremely helpful staff. Located directly opposite Salzburg’s main train station, H+ Hotel Salzburg offers a 2-floor fitness and spa area and provides free WiFi access. Location location location. Thank for the welcoming fudges. This traditional 4-star hotel offers an ideal location in the center of Salzburg, only a few steps away from Mirabell Palace and the new Congress Center. Free Wi-Fi is provided. Great locations and very central. Breakfast is good. Friendly and efficient staff. The boutique Hotel am Mirabellplatz is right across from the Mirabell Palace and the Salzburg Congress Centre, and only a short walk from the Old Town. Free Wi-Fi is available. Great location, very clean and helpful staff. Opened in March 2016, the Eco Suite Hotel enjoys a quiet location next to the Salzach River, an 18-minute walk from Salzburg Main Train Station and a 25-minute walk from Mirabell Palace and Salzburg’s... It was a great modern hotel at a good location, 20 min walk from the station. The family-run Hotel Lilienhof is quietly located in Taxham, a 10-minute drive from the center of Salzburg. No breakfast was served.It was included.So no no complaints. The Goldenes Theater Hotel Salzburg is located in the Schallmoos district, right at the foot of the Kapuzinerberg hill. The Mirabell Palace and the Salzburg Main Train Station both are within 1 mi. The location was fabulous, really close to the center. A 15-minute bus ride from the Old Town, the Bloberger Hof enjoys a quiet and scenic location on the southern outskirts of Salzburg. It offers free Wi-Fi and free parking. Our stay in bloberger hof was perfect! We stayed there for 3 nights. Located in the famous Getreidegasse in Salzburg’s Old Town, Hotel Goldener Hirsch - a Luxury Collection Hotel, Salzburg is directly opposite the Festival Hall and only a few steps away from Mozart’s... We had stayed here many years ago and remembered that the location was perfect. Located in a historic town house, right in the heart of Salzburg, the family-run Boutique Guest house arte vida offers a garden with a seating area and features rooms with Moroccan-style furniture. 1. Cleanliness 2. Good location and good facilities provided 3. Dating back to 1408, Star Inn Hotel Premium Salzburg Gablerbräu welcomes guests since 2012 in its venerable, medieval premises. location. near Mozart birthplace and other famous attractions. Good for travelers. Which hotels are the best ones to stay at in Salzburg? Hotel & Villa Auersperg, Hotel Schloss Mönchstein, and Bloberger Hof are some of the popular hotels in Salzburg. 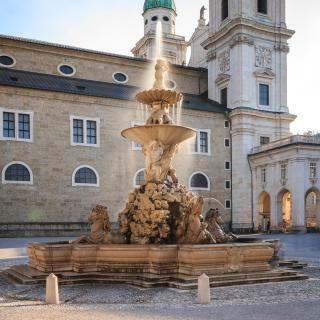 What are the best hotels in Salzburg near Salzburgarena? Some of the best hotels in Salzburg near Salzburgarena include Cool Mama, EB Hotel Garni and Salzburg City Appartement Messe. Which neighborhood is the best one to stay at in Salzburg? 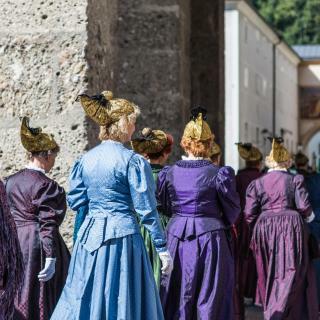 Altstadt, Nonntal, and Maxglan are popular with other travelers visiting Salzburg. Which hotels in Salzburg are good for couples? These hotels in Salzburg are highly rated by couples: Townhouse Weisses Kreuz, Boutiquehotel Villa Sissi, and Hotel Schloss Mönchstein. Which hotels in Salzburg have nice views? Townhouse Weisses Kreuz, Austria Trend Hotel Europa Salzburg, and Bloberger Hof got great room view-related reviews from travelers in Salzburg. Which hotels in Salzburg offer an especially good breakfast? For hotels in Salzburg that serve highly-rated breakfasts, try Boutiquehotel Villa Sissi, Hotel Frauenschuh, and Hotel Rosenvilla. How much does it cost to stay in a hotel in Salzburg? On average, 3-star hotels in Salzburg cost $125 per night, and 4-star hotels in Salzburg are $171 per night. If you're looking for something really special, a 5-star hotel in Salzburg can be found for $406 per night, on average (based on Booking.com prices). How much is a hotel in Salzburg for tonight? On average, it costs $127 per night to book a 3-star hotel in Salzburg for tonight. You'll pay around $177 if you choose to stay in a 4-star hotel tonight, while a 5-star hotel in Salzburg will cost around $322, on average (based on Booking.com prices). What are the best hotels in Salzburg near W. A. Mozart Airport? Travelers who stayed in Salzburg near W. A. Mozart Airport (SZG) have said good things about Airporthotel Salzburg - Hotel am Salzburg Airport, Hotel Salzburg, and Hotel Himmelreich. How much is a hotel in Salzburg for this weekend? The average price per night for a 3-star hotel in Salzburg this weekend is $266 or, for a 4-star hotel, $334. Looking for something even fancier? 5-star hotels in Salzburg for this weekend cost around $618 per night, on average (based on Booking.com prices). Which hotels in Salzburg are good for families? Many families visiting Salzburg loved staying at Townhouse Weisses Kreuz, Boutiquehotel Villa Sissi, and Hotel Schloss Mönchstein. Made famous for its “hills alive with the sound of music”, Salzburg is a very pretty town filled with romantic buildings and squares. 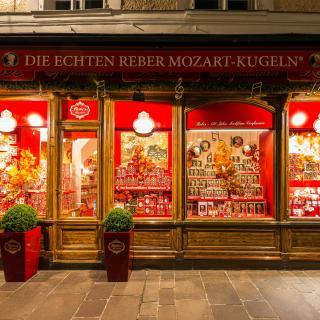 If you are not yet aware that Mozart was born here, then you will be as soon as you land at Salzburg W.A. Mozart International Airport. Further your education about this musical prodigy at his actual birthplace, Mozarts Geburtshaus. The city is the namesake of the Salzach River which runs through it, and alongside this beautiful river lays the Schloss Mirabell, one of the many impressive castles within the city limits. Schloss Mirabell and Hellbrunn with their picturesque gardens, beautiful galleries and impressive halls make the ideal spot for a picnic during summer. 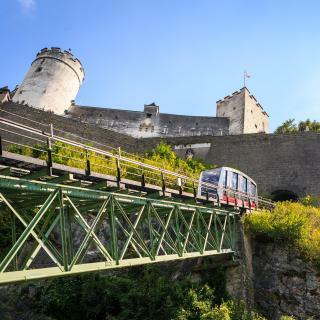 The white-stone Hohensalzburg fortress is perched upon a green hill and offers magnificent views over the city. Or, you can escape it all in the Kapuzinerberg forest, which offers splendid Alpine vistas- a reminder of Salzburg’s natural beauty. The shopping centre focuses around Alter Markt Square and Getreidegasse, the latter is a quirky street with old-fashioned signs indicating what each store sells. 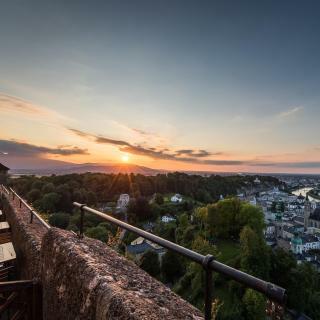 With 125 hotels and guesthouses available on Booking.com, your stay in Salzburg is bound to be as pleasant as this city is pretty. Great access to all the major sites. Great access to all the major sites. Could walk to almost everywhere. Ate at the Ganslhof one night, outside downtown at the Hotel xxxx, and last night at a bier garden dieWeissee near the hotel. All were very good. We stayed in old Salzburg city center. We stayed in old Salzburg city center. Great location- walked every where. Museums, shopping and restaurants only steps away. Our hotel- Hotel Goldgasse - is excellent. Great location, wonderful food, and the room decor was inviting. The building itself is full of old charm and rooms decorated with a modern twist. Best shower ever!! So much to see and do in Salzburg! So much to see and do in Salzburg! We were there for three days. Bought a "Salzburg Card" at our hotel reception desk; great free admission to several of the attractions we wanted to see. Beautiful views of the Alps and countryside. Food was very good. Sitting on the covered porch at the Hotel Sacher (across the river from the Altstadt) having a late lunch was great for scenery, people watching and having a relaxed meal. Marionette Theater was a delightful change from sightseeing (The Sound of Music that night). Easy access to Berchtesgaden, the salt mines, etc. We want to return and spend several days there. Beautiful city, so much to see. Beautiful city, so much to see. I found 4 days too short since there is so much to see, you would easily spend a full week here and not get bored. The Hotel Bristol was so helpful and thanks to their staff, I was able to maximize all the sight seeing, 3 tours (Salt mines, Sound of music, Mozart tour) and Mozart's house is across from the hotel, you can see it from your window. The tours are fun because the guides are funny and give you interesting details. For a solo traveler, you won't feel alone. I was also able to visit most museums, churches and sights, including Schloss Hellbrunn (palace). The chocolate at the Cafe Konditorei Furst is delicious. Most places offer excellent coffee. If you missed thec chocolate Sacher-Torte in Vienna, you may also purchase some at a branch in Salzburg, not in any cafe, but specifically at the Cafe Sacher. It is easy getting around Salzburg, as you always have a landmark in the sky above you, the Schloss Hellbrunn, the palace in the mountain will always tell you where you are on your map. Salzburg is a beautiful city that is "touristy" in just the right way. We arrived at the Salzburg train station and walked a quick 15 minutes to Hotel Mozart. From our hotel, it was a 10-15 minute walk to Mozartplatz and 20 minutes to the Festung lift. We enjoyed a Sound of Music bike tour with Fraulein Maria's Bike Tours and awesome tour guide, Sharron. Well worth it! We also greatly enjoyed a concert in the Marble Room of the Mirabell Palace. By far, our best meal and friendliest waiters were at Zum Fidelen Affen. Try the beef broth soup with bacon fried dumpling. And don't forget to hike Monchsberg! Ride the lift up (down the road past the concert halls and horse fountain) and follow the Festung signs for fantastic views. The Salzburg Museum is another can't miss sight if you're hoping to really learn about the history and culture of such a stunning town. Salzburg was incredible! This is a very nice place to stay - VERY clean, quite, cozy, nice staff, spacious room, lots of towels, little fridge. Breakfast was good. 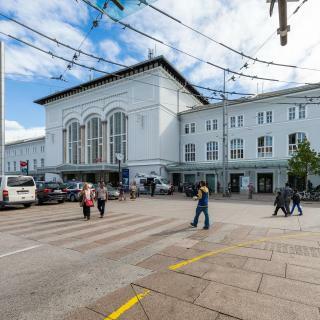 It's close to the railways station, but it take about 15 min walk to old downtown... Very comfortable and pleasant hotel! Highly recommended! They offer to choose the floor and view direction. So you can either get a view of city, mountain or park. Which is a new hotel experience for me. Its central location makes your trip in Salzburg very comfortable. It took at most 15 min slow walk to reach to old Town. I have to especially mention the breakfast. İt is exceptional with many varieties. And since the breakfast lounge is at the top floor, it was a very pleasant start of the day. Looks renovated with very nice rooms. We had a room with our own shower and toilet and it was all cleaned every day. The breakfast selection is decent and included bread, cereal, juice, coffee, fruit yoghurt, vegetables, etc. Number 2 bus takes you straight outside of the hotel from the city centre and vice versa through the Salzburg airport - very convenient. The reception staff were nice and explained everything. Good location on the outskirts of Salzburg with decent free on-site parking. There is a bus stop right outside the hotel with regular buses to the city centre. Friendly, jovial staff who were very helpful.The building has a distinct alpine flair and the room was spacious, comfortable and quiet. It was the perfect place for a one night stay and I would definitely stay again should I return to Salzburg. Breakfast was superb and the hotel is in a great location. The room and beds were also very comfortable after a long day walking around Salzburg. They also have a lounge where you can get coffee, tea, or juice/water on the house either before you set off or as a little break in between excursions. As cafes can be very overpriced in Salzburg, it was nice to have the lounge there. location is amazing, located 1 km from main trainstation, good breakfast and nice staff, only around 15 walking mintues walking to the old town, supermarket just across the street , along to the way to old twon center, lots of good.restruant and shops, breakfast do have lots of choice, good value of money as u know salzburgh hotel rate is high during summer, can't expect more. 1. The staff! Spaicely Mohammed and veera that are so nice and great hospitality wey. Every second thay give you the best feeling that your like more then spaicel guest. 2. The location is the best hotels in all Salzburg just on the main center of the old town. 3. generally the hotel is good but radisson blu needs to improve the things I was writing about the negative . I loved the service with a smile. I enjoyed the property, and the views from the property. Beautiful hotel. The room was great, breakfast was relaxing, enjoyed the restaurant/bar, wish to rooftop bare had been open with those spectacular views. Taking a taxi into the Salzburg altstadt costs us roughly 10€. Clean, modernand very large rooms. Helpful and professional staff who are only to happy to assist with any questions. Bus right outside the hotel and only minutes to most Salzburg attractions. Breakfast was good, excellent coffee and dinning room was big, Great stay. Highly recommended. The motel is located 10 minuets away from old town Salzburg. Very convenient as there is public parking for 2 euros or underground parking parking with elevator to hotel rooms for 8 euros. Easy bus access across the motel to old town- 4 euros for 24 hours use. Great breakfast! We had a comfortable stay at the Imlauer Hotel Pitter Salzburg. The staffs were really nice and helpful to all our needs. The location is good to! We realized it’s in the middle of everything - tourist spots, bus stops, train station, etc. Ms Aliff & Ms Chen made our stay pleasant. So helpful indeed. Hotel close to bus-stop which made our many trips to city free & easy. Salzburg is so beautiful. Thank you. Hotel is located only 5 mins walk from old town via a shortcut through the mountain. Parking fee was reasonable considering Salzburg’s regular fees. Beds were comfy. The view of the mountains is amazing. Great location for walking and biking. Within walking distance of the fortress. The breakfast buffet was great. Would definitely recommend. Muffin Hostel is cozy and comfortable, in a nice and quiet neighborhood. It is clean and with all we needed ready. An appreciated place to be in !